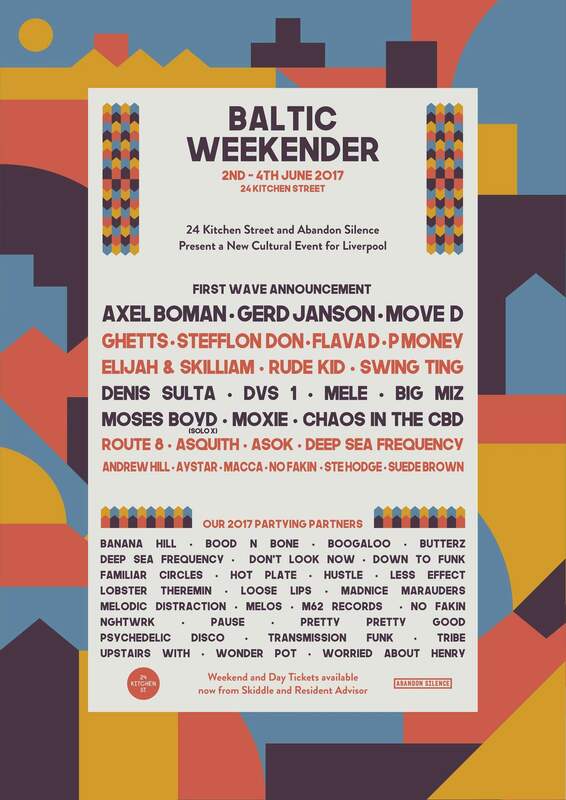 Liverpool’s Baltic Triangle is set to be transformed with a festival vibe in June as promoters announce the line-up for The Baltic Weekender. The Waveform Transmitter’s Ste Knight has the scoop. Having established itself as the place to be in Liverpool over recent years, Liverpool’s Baltic Triangle has continued to go from strength to strength, despite attempts by an unscrupulous council to put the kybosh on proceedings. The out-of-the-way pocket of the city serves as an incredibly productive creative hub, from which all manner of exciting eateries, coffee shops, and clubs have sprung, amidst the workshops and offices housing the area’s demiurgic types. The weekend of June 2nd-4th sees the area transformed into a mini clubbing Mecca, as a number of promoters and venues combine forces to offer those in the know something really quite spectacular. The Baltic Weekender is the combined brainchild of one of the area’s most prominent independent venues, 24 Kitchen Street, and promotion team Abandon Silence. Both are well known for throwing some of Liverpool’s most forward-thinking parties, and this appears to be no different. Set across Constellations’ Observatory, Lobby and Garden, the New Bird Street Warehouse, the Great Baltic Warehouse and Botanical Garden, the Baltic Weekender will feature high level production installations and designs. The first wave of acts alone is enough to make you fall off your seat. Twice. There’s a veritable bounty of sonic loot on offer, with the leftfield well and truly repped. Amongst those on the line-up are Swedish house don Axel Boman, Running Back head man Gerd Janson, and German impresario Move D. Further to this we have bassline queen Flava D, Glasgow house protégé Denis Sulta, and New Zealanders Chaos in the CBD. You can be sure of more seriously impressive line-up announcements as the promoters partnered up with the event have an excellent reputation for putting on amazing events. Seriously, expect big things. Check out the full first wave line-up below, and keep your eyes peeled on The Waveform Transmitter for up-to-the-minute future announcements. In the meantime, you can grab weekend and day tickets from Skiddle, now.